Set a special table to get your guests in the fall mood! No matter if you’re entertaining guests or just serving up dinner to your family, we’ve gathered together some table topping tutorials to help you set a little Autumn spirit on the table. This pretty but simple DIY fall leaf garland can be draped across your table or hung around the dining room to bring a little bit of those fall colors indoors. Get the Fall Leaf Garland tutorial from A Beautiful Mess. Find some linen and fall colored fabrics to stitch up some quick napkins to add to your fall inspired table setting. Find the Fringed Napkin tutorial at The Purl Bee. While you’re checking out the DIY napkin tutorial, click on the Appliqué Quilted Tablerunner tutorial, also pictured above. After creating some pretty fall napkins with the tutorial above, make a set of fall felt napkin rings. Find the Autumn Napkin Ring Tutorial from Heather Bailey’s blog, HELLO My Name Is Heather. 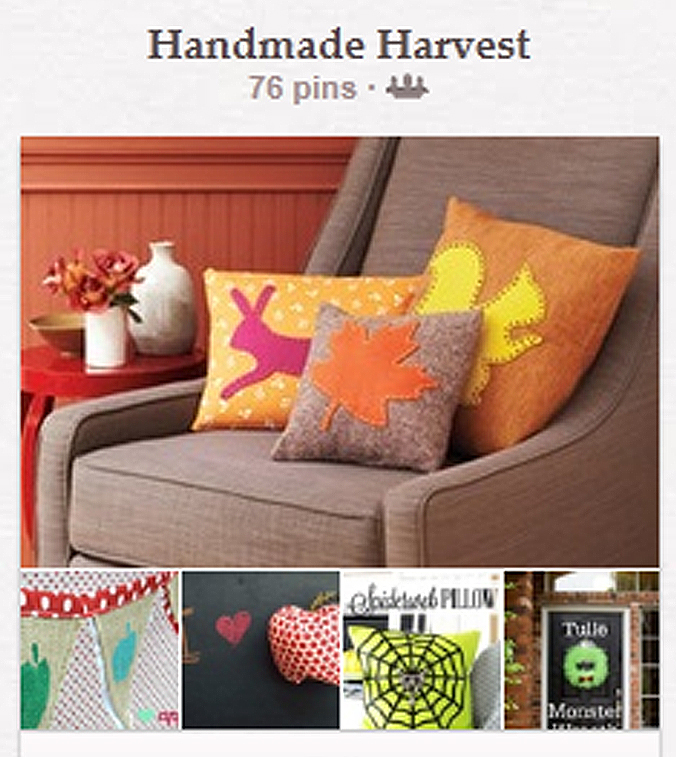 Decorate your table top or any nook or cranny of your home with a batch of these stylish fabric pumpkins. 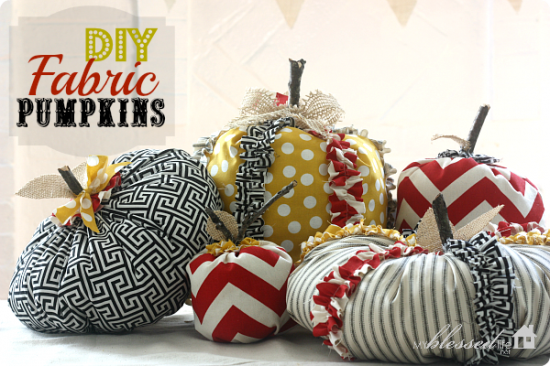 Get the DIY Ruffled Fabric Pumpkin tutorial from Myra Hope from My Blessed Life. And if you want still MORE harvest home decor ideas, check out our WeAllSew Handmade Harvest Pinterest board for seasonal decorating ideas for your table top and entire home!